A man waits for the birth of a child. Many years later that same child, Johannes, now an old man, finds his world has changed: he meets his wife and best friend, who have both passed away, and can no longer communicate with his beloved daughter. Gradually, he realizes what is happening. 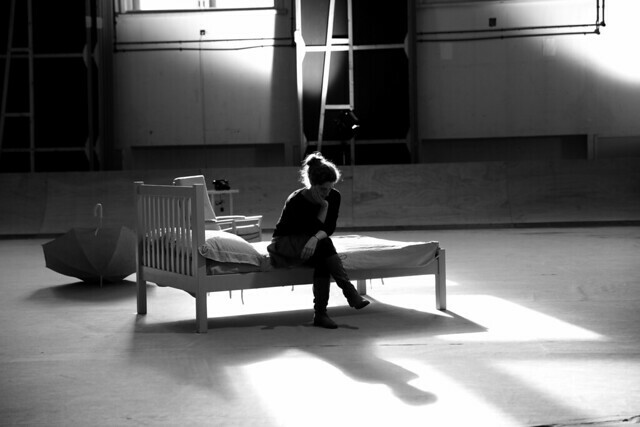 Morgen und Abend (Morning and Evening) is Georg Friedrich Haas’s second collaboration with Norwegian novelist and playwright Jon Fosse, Norway’s most important dramatist since Ibsen. Fosse and Haas share an interest in depicting intense and fluctuating emotional states and characters’ subtle inner developments. Fosse’s love of music and Haas’s fascination with literature make this a very special partnership. Haas is renowned as one of Europe’s leading composers; his profound and imaginative compositions have attracted a devoted following, and concert works such as in vain and his string quartets are regularly performed internationally. While many of his instrumental compositions use microtonality and experiment with light and dark, his dramatic music focusses intensely on the emotions of the text. Haas has been fascinated with opera from early in his career. His operas include the chamber operas Adolf Wölfli (about the ‘outsider’ Swiss artist), Nacht (to texts by Hölderlin), Die schöne Wunde (to texts by Kafka and Poe), Melancholia (which uses a libretto by Fosse, based his novels, Bluthaus, a dark meditation on post-traumatic stress inspired by the incarceration of Natascha Kampusch and Thomas, an exploration of love and loss. All Haas’s operas explore themes of melancholy and transcendent longing. Haas and Fosse’s opera deals with the two universal experiences: the journey into birth and the journey into death. The composer’s vast musical soundscape, in which musical layer upon layer is built up, mirrors the profundity and mystery of these events, captured in Fosse’s spare, poetic text. The vocal style for the singers is lyrical throughout. Morgen und Abend runs 13–28 November 2015. Tickets are still available. The production is a co-commission and co-production with Deutsche Oper Berlin, and is generously supported by Stefan Sten Olsson, Cockayne – Grants for the Arts via The London Community Foundation, Ernst von Siemens Music Foundation and The John S. Cohen Foundation.